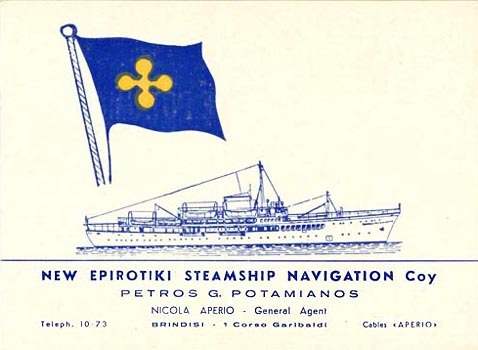 New Epirotiki Steamship Navigation Co.
George Potamianos (Kolokotronis) 1) Brindisi, Corfou, Ithaca, Sami, Patras, Piraeus. Called only at Corfou on return voyage. 3) Piraeus, Candia, Rethymnos, Canea.